Chris Hoffman wrote a detailed feature on The History of the Mafia in Connecticut and it’s worth a read. But we could spend hours sharing stories regarding organized crime, and barely scratch the surface. George Norboe called from Stafford Springs and he’s an artist who works with glass. 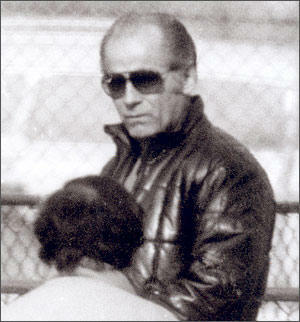 Shortly before Boston gangster Whitey Bulger went on the lam, Norboe met him at a craft show in the Bayside Expo Center. Bulger then showed Norboe his sterling belt buckle that he made. “I asked him about it and he said he made it in prison,” said Norboe. Whitey Bulger then purchased a $2,000 mirror table with a built-in CD player.Whitey walked into his booth with his girlfriend. After looking around Norboe’s booth, he told the artist he liked his work. “He said, ‘you’re an artist, you’ve got a good eye, tell me what you think of this,’” Norboe said of the conversation. Meanwhile, Norboe had no idea who this Whitey was. 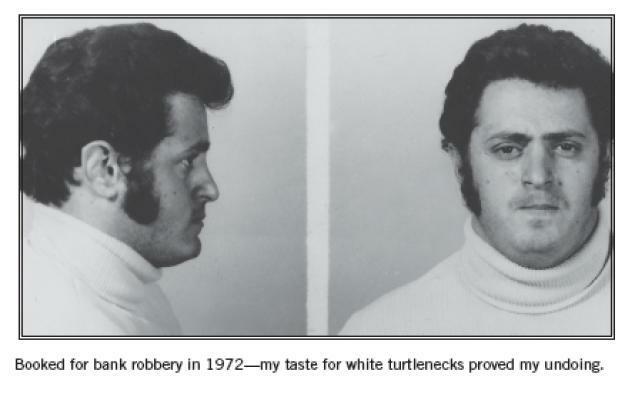 He had met another man in a similar line of work named Ralph “Whitey” Tropiano. “He introduced himself to me as James Bulger,” Norboe said. They started throwing out some names of people they knew and George mentioned Whitey Tropiano. Later, Norboe would deliver the table to Whitey Bulger’s South Boston home. He was surprised by how much beautiful artwork Bulger had collected. It was his love of art that made some people think Bulger had information about the notorious art heist at the Isabella Stewart Gardner Museum – a claim he denies. Gangsters came to Connecticut too. Some came to the Federal Corrections Institute in Danbury to serve sentences. Others, like Gambino Captain Dave Iacovetti lived in the quiet town of Trumbull, Connecticut while committing crimes elsewhere in the country. Former Gambino and Colombo associate Sal Polisi talked about meeting Iacovetti in prison and later visiting him at his Connecticut home. Sal Polisi describes meeting Gambino captain Dave Iacovetti in prison and visiting him at his home in Trumbull, CT. While the heyday of the mob has passed, it still pops up from time-to-time. And despite initial fears of organized crime in Connecticut’s casinos, authorities say they haven’t come across it.